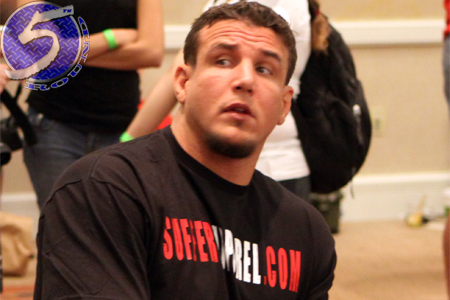 Former champions Frank Mir (Pictured) and Cain Velasquez will battle it out at UFC 146 to determine who gets next dibs at the heavyweight crown. According to the Gambling Gods, Mir shouldn’t even bother showing up to the May 26th shootout. Velasquez is pegged as a whopping 5-to-1 odds-on favorite to advance to the title affair. Mir, meanwhile, is an early 3-to-1 longshot to hand Velasquez his second straight defeat.